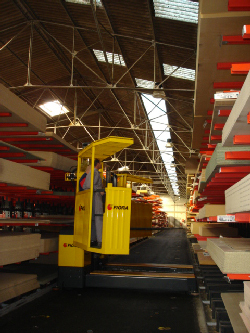 Designed for long load picking within the narrow aisle. Requires two operators when picking long loads. 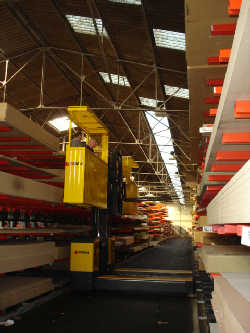 Both enclosed operator cabin can be extended to suit the load length. 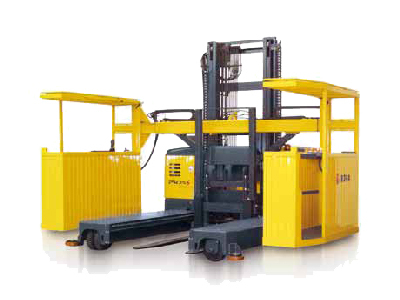 Cabs rotate inward to present the width of the cab to the load when desired. Manueverabilty and operation based on the PK single cab man-up sideloader. Both cabins require hands on control operation with fully integrated safety interlocks.